Richard picks apart the science that underlies our current psychiatric practice. Edited by Peter Lehmann published by Peter Lehmann publishing. 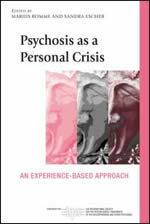 Reflects current approaches to self-help and non-psychiatric alternatives in cases of acute emotional problems. I have my father with schizoaffective syndrome diagnosis and 10 years ago. The right now is stable to treatment with drugs but I would like to discuss alternatives to aid you in your healing. I’m trying to discover something like you studies FOR YEARS! My loved son has been diagnosticated with schizoaffective since 10 years ago and I tried to keep him without medicines durant 5,5 years. I BELIEVE IN YOU!!!!! Please, do you have brazilians who think like you? I would be very much happy in find them. Please, let me know their adresses. I don´t speak english very well, I speak portuguese.